Dig into a mysterious side of New Orleans with this French Quarter spirits walking tour. 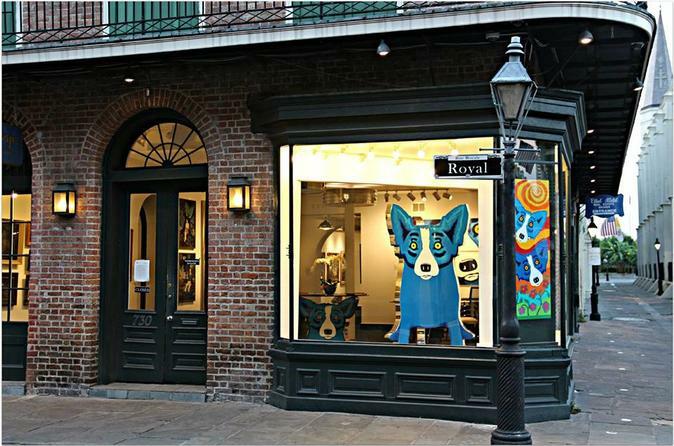 See if you encounter any the spirits that have decided to call the French Quarter home. Visit some of the many haunted locations throughout the neighborhood. Don't miss out on this exciting look at New Orleans with a licensed tour guide. Guests will be allowed to stop in bars along the tour route to grab a to go drink and then the tour group heads out to the next location. Please keep in mind that some bars allow children inside however some do not. Meet your guide in the French Quarter, prepared to open your mind to the paranormal. To add to the entertainment and the fun, guests will be allowed to stop in bars along the tour route to grab a to go drink and then the tour group heads out to the next location. Please keep in mind that some bars allow children inside however some do not. The French Quarter is one of the oldest neighborhoods in the United States making it a common place to encounter paranormal activity. New Orleans has been referred to as 'The most haunted city in America.' After this tour, you can be the judge! New Orleans has a very colorful history and it is safe to say New Orleans has very unique traditions. Because of this it is no wonder so many New Orleans homes and bars have been investigated by paranormal investigators. You'll visit several haunted sites and hear about the stories featured on The History Channel and The Discovery Channel. Hear ghostly stories about haunted hotels and the federal courthouse. Visit a former slave exchange. There is no telling what type of mystical and mysterious inhabitants of New Orleans that may make their presence known during the course of the tour. Will you see any of the ghosts that inhabit the famous Bourbon Orleans Hotel, formerly a Quadroon Ballroom and convent? Staff and guests report regular ghost sightings. Visit one of the oldest homes in the Mississippi Valley. Many guests capture apparitions and orbs in photos taken during the tour. One woman who attended this tour actually caught an apparition of little girl playing peek-a-boo with her at the LaLaurie Mansion while filming the tour! (Please note that filming the tour is not allowed, photos are welcomed!) The LaLaurie Mansion is known to be the most haunted house in New Orleans. The tour guide will have a real EMF Meter - Ghost/Paranormal Detector to validate any paranormal encounters during this tour. Bring your camera. You never know who will want to pose for a picture!